NEXT ARTICLEDo You Know About NYC’s Secret Lox Market? Long a staple in many Asian countries (and at plenty of Chinatown eateries), congee has recently found its way onto the menu at some of the city’s hottest restaurants. At these seven spots, the simple concoction of rice cooked down in water has gotten a cheffy spin. Some dishes are savory, some are sweet and all are soul-soothingly delicious when eaten by the spoonful. 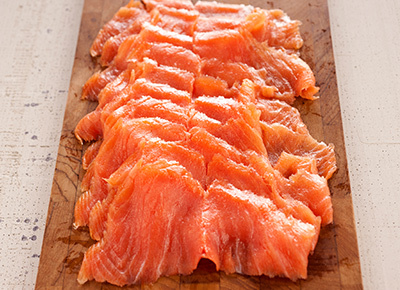 RELATED: Do You Know About NYC’s Secret Lox Market? At this new Vietnamese barbecue spot, chef Jimmy Ly caps his beef-centric tasting menu with an oxtail congee. Meat that’s been pressure cooked ’til tender sits atop creamy grains with a luscious honey-and-brown-butter fish sauce. Don’t be surprised if you finish every morsel—yes, even after six other courses. Owner Heather Fuller got her first taste of congee during her stint at the Ritz-Carlton in Atlanta, where a fellow chef whipped up a bowl with just three ingredients. Fuller’s spin calls for a few more finishing garnishes—the kokuho short-grain rice is topped with diced ginger, scallions, fried shallots, soft-boiled eggs and chili oil—but it’s every bit as soothing as the traditional variety. True to its name, the brown-sugar-laced porridge at this uptown newcomer contains eight ingredients. The nuts, beans and dried fruits used can vary in the traditional Chinese dessert; here, white rice is stewed with millet, peanuts, goji berries, dates and more to form a lightly sweetened treat. Brunch at the modern Japanese restaurant is all about comfort. Along with dishes like curry shakshuka and a soy short-rib hash, chef Emily Yuen serves a hearty breakfast congee with finishing accents that change every six months. The current version features crispy head-on prawns, togarashi-spiced peanuts and a fragrant ginger oil. In keeping with its health-forward menu, the West Village eatery utilizes ancient grains in its congee. Fonio—a West African variety of millet—gets cooked down in water and coconut milk to become a base for coconut yogurt, fresh seasonal fruit and a who’s who of superfood seeds, including chia and flax. The flavors of Peru and Japan meet at this upscale midtown spot. Drawing from both cuisines, chef Mina Newman worked up a twist on Peruvian asopao that’s made with shrimp dashi-infused rice, ají panca peppers, giant choclo corn and assorted shellfish. This Japanese import takes the idea of fresh catch to new levels—diners actually hook their own fish. To make its table-side chazuke, a Japanese porridge that doesn’t require slow-cooking the grains in broth, servers pour dashi onto prepared rice and trim each bowl with sesame sauce, toasted seaweed and striped bass.